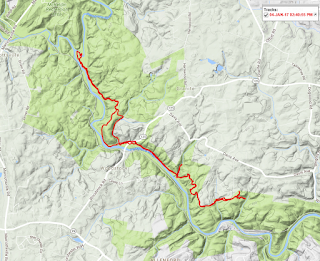 Maryland has a good network of (almost) connected long trails. 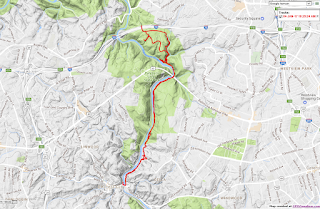 Other than the 44 miles of Appalachian Trail in the state and a couple of rail trails north and south of Baltimore, the rest of the long trails follow rivers. 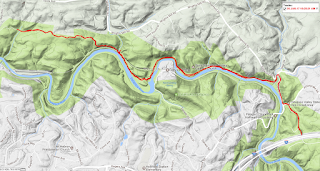 Granddaddy of the river trails is the C&O Canal Tow Path, which follows the Potomac for more than 180 miles from Washington DC to Cumberland. 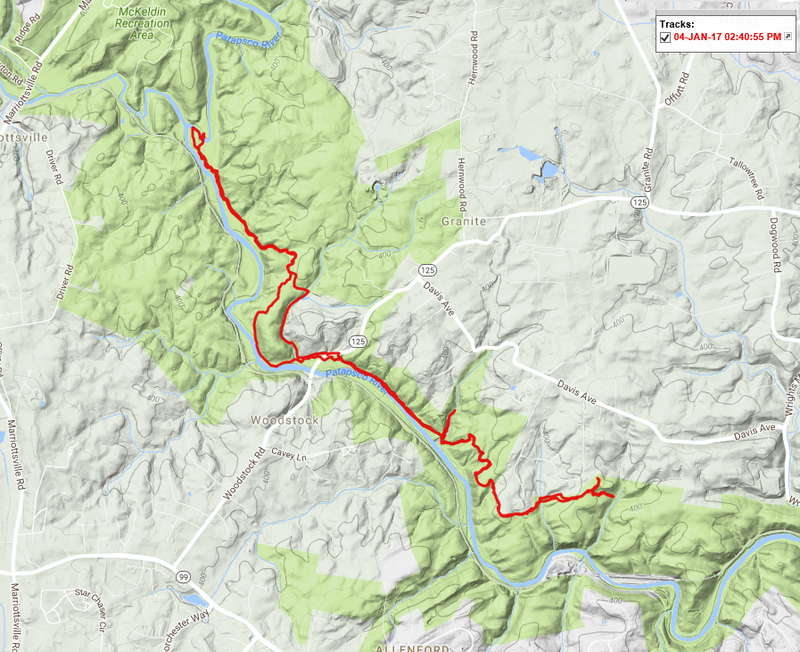 But there's another good connecting corridor of hiking and multi-use trails through the center of the state. 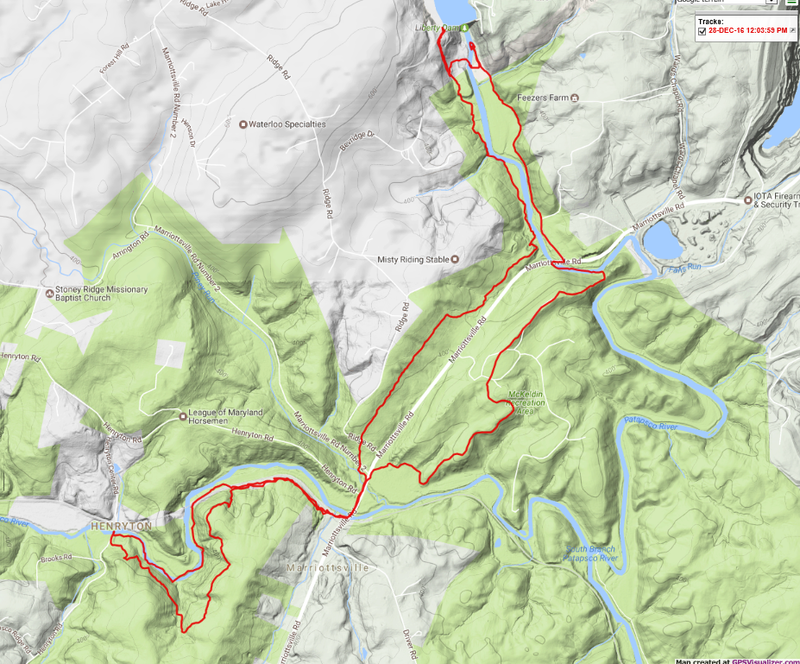 This is a collection of trails -- they don't have a single name -- and there are some short road walks to make connections, but this network connects Annapolis, MD on the Chesapeake Bay with Reisterstown and Eldersburg MD in the center of the state, a trail distance of 50 or 60 miles depending on how you go. 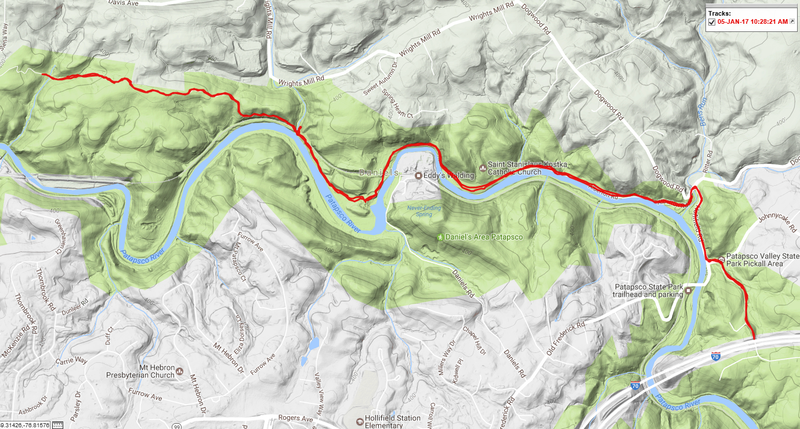 At the core of this route is the Patapsco River, much of which is protected as a State Park. And at the core of Patapsco Valley State Park's 170-mile network of trails of is its white blazed 'Thru Trail'. 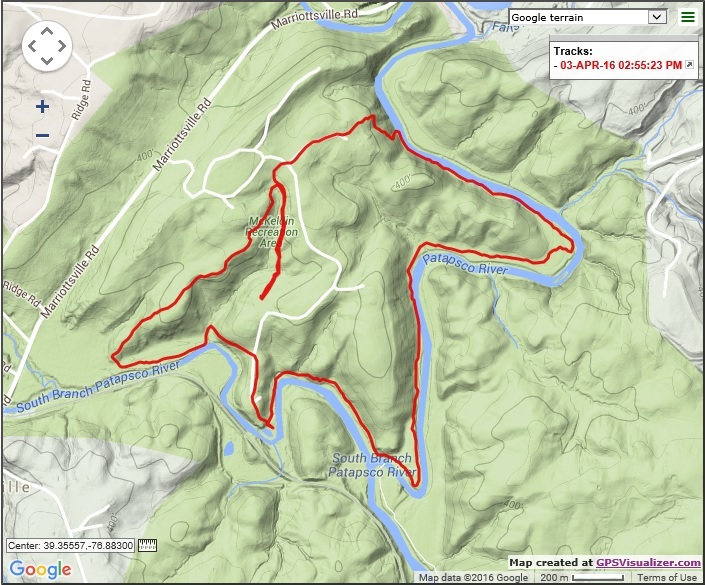 I just re-hiked the Thru Trail with my GPS. After Christmas I decided to head back to my old home turf in Maryland. I spent a wonderful day with my two kids before one of them flew back to Houston, and then I hiked. At the north end of Patapsco Park is Liberty Dam. Its reservoir provides water for the city of Baltimore and there are more than 100 miles of trails encircling that lake. 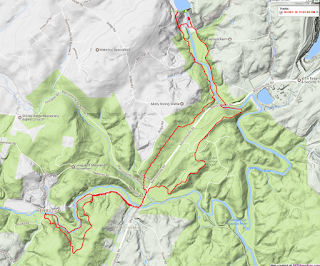 The report of my 81-mile circuit hike around the reservoir is here. 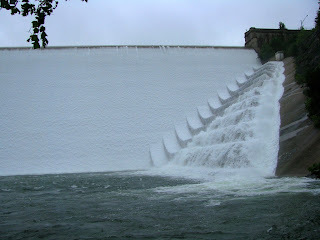 Liberty Reservoir from the dam site, as it looked a few days ago. 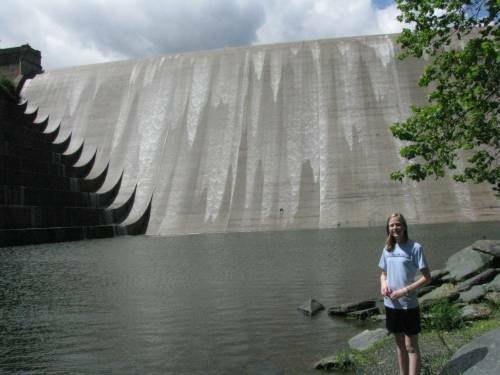 I used to live within easy walking distance of Liberty Dam, so I've visited it many times and have experienced its many moods. It's been dry here lately so I found no water overflowing the dam. After a good rain, it's a different story. 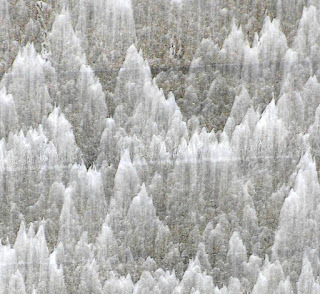 In between, the water cascading over the concrete can make some interesting patterns. When there's no flow over the dam, fording the North Branch of the Patapsco River is a piece of cake. Right below the dam is a gravel bar where the little bit of leakage is a mere trickle. That's the ford required to make the circuit hike around the lake. Farther down, just above where the North Branch and the South Branch converge, the Thru Trail fords the river. The formal site of the ford looks intimidating, because it's mainly used by horses. But there's an easy rock-hop just a couple hundred yards upstream. 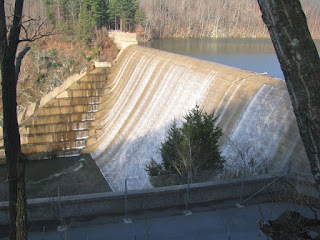 The Thru Trail passes another dam at the historic town of Daniels. There's always plenty of flow here because the South Branch has no impoundment and water intake. Although there's a road down to Daniels, most of the rest of the Thru Trail is a quiet remote walk in the woods. 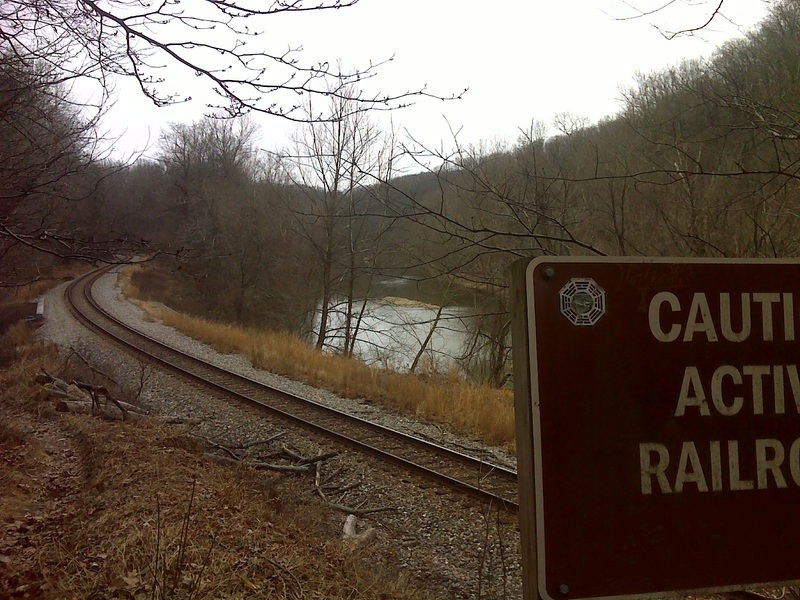 The only sign of civilization is the CSX rail line that uses the river corridor to haul coal from West Virginia to the port of Baltimore where it is shipped abroad to countries with fewer environmental restrictions. This engineer gave me a 'toot' and is waving. Can you see his hand? 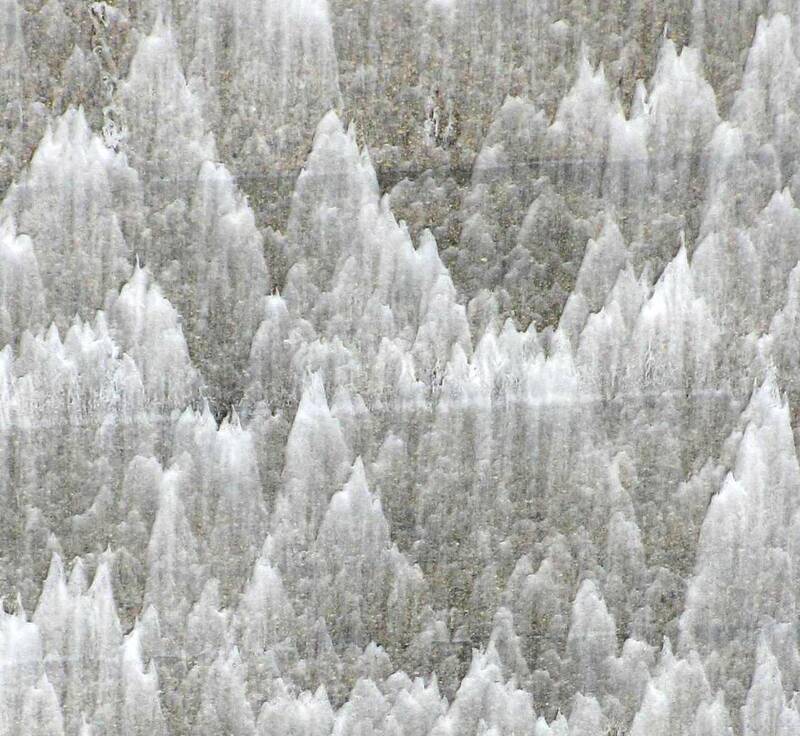 It was a cold day when I came up this piece of trail and found a well-developed bank covered with ice ribbons. That's winter in Maryland. As I write this report we're getting a little snow and I'm headed for another Maryland hiking venue. I was going to head south to North Carolina but the forecast for there calls for a foot of snow. From past experience that means days of impassable roads and gridlock. The bulk of the accumulation from this storm will miss Maryland to the south. It'll be downright chilly here as it will be down in NC. We won't see the temperatures above freezing until the middle of next week, but at least here I'll be able to get out and about. 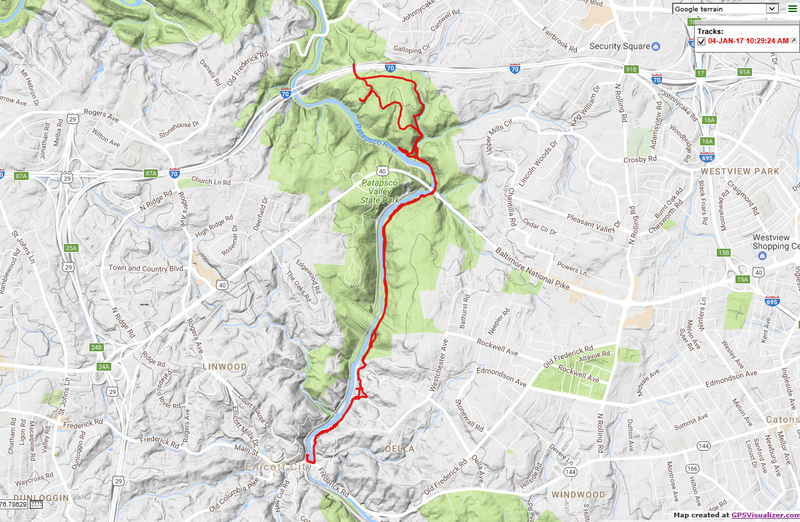 Below are the GPS tracks for the Thru Trail and beyond, along the Oella Mill Race down to Ellicott City in the south and on up to Liberty Dam in the north, divided into five segments, north to south.